These are a few thoughts that I shared recently with the staff team at Ridge Church. Before you ignorantly admit that you don't evaluate--track with me because we all have some form of evaluation process whether informal, formal, unintentional or intentional. (some more than others, I'll admit!). I think most of us would agree that we evaluate our lives largely based on our "activity"---what we do, what we did, what we are planning on doing. Right or wrong, it's largely how we define success. T hat is definitely how most of us are evaluated at our jobs, right? This year's sales volume, or productivity should exceed the previous year. If you are an athlete or a "wanna be", you want to score more, lift more, hit further, run faster, win more, right? So, we are all tempted to apply this same "activity evaluation" in all areas of life including the spiritual side where we relate to God, and it's a slippery slope. It's a high stakes approval game that ends in disaster every time. AND ironically with God it isn't even necessary, because his approval of us has absolutely nothing to do with our "activity." What if instead of evaluating life, and our relationship to God based on "activity" we evaluated life based on the "motivations" for the actions. Not as much about WHAT I did but more about WHY I did it. Interestingly in the New Testament we find lots of people around Jesus that did "good" even "noble" things like: giving to the poor, living upright lives, praying, reading Scripture---yet we often see Jesus unimpressed and even chastising them because their MOTIVES are wrong. Interesting right? They had good activities (like many of us), but the motives were off center. Paul addressed this idea with a question. "Am I trying to win the approval of men or God?" It is a simple but piercing question. At every turn or decision of life, with this question as the filter "Am I trying to win the approval of men or God?" our motivation will be revealed every time. We might be surprised at what this question, when asked often, and answered honestly reveals about us. Try it out. I haven't unpacked it all yet, but I do know that tons of RIGHT activities with WRONG motives are still off center from the full life--best life God intends for us. So when you bump into a situation this week, ask this simple question as a diagnostic for your motives: "Am I trying to win the approval of men or God?" I've had tons of interest about what we did for Easter. Here is a brief video that Rusty put together that will give you a snapshot idea of what went on that day. It was a really fun day, as we partnered with Kinetic Church. We literally took Waumba (Ridge pre-school environment) and Upstreet (Ridge elementary environment) on the road to Kinetic Church! Thanks to all of the awesome volunteers and staff from Ridge that made this happen! Easter was a really great day. Honestly, kind of difficult to put into words, but I'v e peppered a few pics of "upstreet" throughout the post! 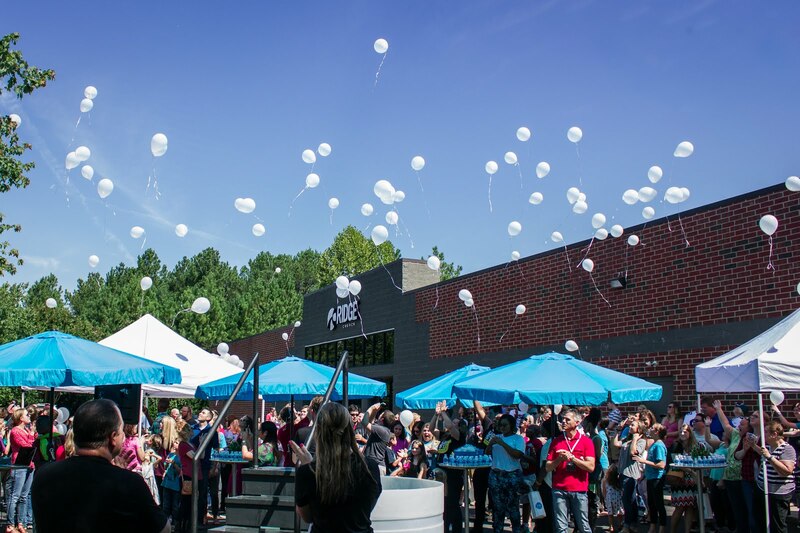 Many of our friends (locally and from around the country) have been following our deal of combining for a day with Kinetic Church, on the North side of Charlotte. The team from Kinetic were very gracious to us. They are a great group of people. Simply stated, I know that what we were a part of this Easter Sunday really mattered. It was significant and I am so glad it will be re-told as a part of the story of Ridge Church in the days ahead. It wasn't routine; it wasn't business as usual; and it wasn't even akward; it was just powerful! Two churches coming together and celebrating together the things we have in common. Great time of worship and teaching. You could feel the excitement and energy in the building! I can't brag enough on the Ridge Staff and volunteers. You guys stepped up and got it done with style! We had about 20 volunteers that served in various roles to pull of some incredible stuff in a brand new "theater context" for Waumba Land and Upstreet. In addition to those 20 people we had another 8-10 people that showed up to help load in (7:3 0 am!) I was pleasantly surprised and pleased to see so many of our Ridge Church regulars worshiping with us in the adult worship as well. (Not sure how many--but it was a good crowd of Ridge folks.) Some drove from as far as Fort Mill, and Marshville to a part of the day. Thanks to all of you. 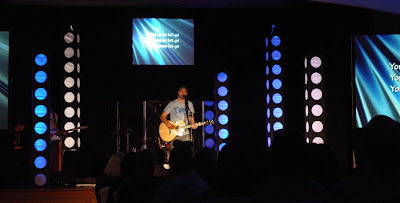 Dave Milam, Pastor of Kinetic Church had some kind and very encouraging things to say about Ridge. Be sure to check out his post, and the comments from some of the folks from Kinetic. Rusty shot some video from the day, along with more pics that I will feature in a post later on this week. I will also talke more about some facility updates. Thanks. Good start to the day. Several men gathered with me this morning as we do every Thursday morning to pray for Ridge Church. It was a really powerful and refreshing time as always. We are tracking through the Seven Practices of Effective Ministry together as well. Kinetic Church here in Charlotte, were the victims of thieves and lost two trailers full of church equipment. Now there are thieves roaming Charlotte that are the "proud" owners of Kinetic signage, communion gear, Bibles, children's gear, pipe and drape, and tons of other stuff they can't use!--maybe it's poetic justice? Long story m ade short, Ridge Church will be joining up with Kinetic Church for Easter Sunday, as we take Waumba Land (our pre-school ministry environment), and Upstreet (our elementary age environment) on the road to their place at Concord Mills Mall. So a lot of the Ridge Church family will be worshiping and serving alongside the Kinetic family on Easter Sunday, and it will be phenomenal!! Make plans to join us if you haven't already. **Our staff team spent about an hour at the Concord Mills, AMC theaters today laying out the blueprints for how we will move and implement Waumba Land and Upstreet in that context. We spent the rest of the afternoon meeting people, looking at specs, and reflecting on the possibilities for the facility that Ridge is considering. A possible "New Home"? I'll give more details on this in my next post. Many of you have asked about getting involved (THANKS!). It will definitely take sacrifice and generosity from many to help us get there. Get started by becoming a vision partner HERE. So, Ridge Church is going Kinetic! 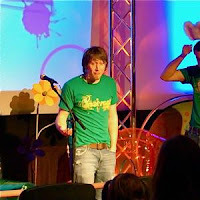 We are combining with Kinetic Church for Easter Sunday, 10am at the Concord Mills, AMC Theater (Please join us!). We are taking a team of volunteers and anyone from our church that is willing to make the drive and we are setting up all of our children's stuff for them and putting on an "Upstreet Production". It will be an incredible day. One to remember. I will give more details throughout the week. Thanks for all your interest and questions. Check my previous post for more details, but in short. We are carefully, but diligently pursuing an incredible facility option. I mentioned in our last service that we are asking people to pray big and give big. Both are necessary! Step up for Ridge! This will not be an immediate fix, but it is a great prospect. I will post throughout the week on this as well. Thanks, for being such a great group to lead. "Chris, don't fear dreaming too big, but fear dreaming too small." I think a laughed out loud, but I haven't forgotten that moment. The God of Scripture is vast but that vastness is matched by his vast love for the nations ...including this city! I'm convinced that Ridge Church was and is His idea, not mine. Because he loves our city more than we do. For the first time in our existence the ball is in our court in terms of a "Sunday Morning Permanent Facility" for Ridge to meet in. I can't believe I am even saying that! We have searched out or looked seriously at close to 70 facilities to no avail. NO, that number 70 wasn't a typo! 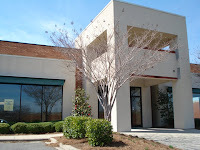 It is a 21,000 square foot, beautiful facility, three miles from our current meeting location. It would require a steep increase in monthly expense and up fit costs. This is an amazing opportunity but it must be met by amazing sacrifice and crazy generosity from ALL of US! I simply refuse to live my life wondering "what if?" What if I had gone for it? What if I had given more? What if I had said yes, or no? What if I had sacrificed more? What if...? I want US to step up to the plate here and give our best effort, act in faith, sacrifice convenience, and watch God attach himself to that effort in a miraculous way. WE need "everyone" to rally around this opportunity and give generously. Not so that Ridge Church can have a building, but more importantly so the people of this city can have hope!! This isn't about us not being a load in church---It's about the eternity of men, women, and children in this city. It's about your neighbor. It's about your co-worker. It's about my children and yours! It's ab out a Ridge becoming a bigger microphone for God to shout his love to the people of our city. Will you step up? Don't wait. I can't wait to share more on Sunday---and reveal another AMAZING opportunity that we will have on Easter Morning. We all have them---days that you didn't really enjoy, and wouldn't necessarily want to repeat. Today was one for me, but the great part is the perspective, and balance in the midst of days like that--that having Jesus in control of my life brings. I hope you are experiencing that! God provides great reminders too, at just the right time. My lunch today was with a guy who by his own admission, has had a major change in his entire life since coming to Ridge Church. We talked today, and he shared about how much more satisfied he was in knowing and pursuing Jesus. He said it was more satisfying than anything or relationship he had ever experienced! He's right, because nothing else, and no-one else has the capacity to truly satisfy us, but Jesus! How are you doing with your choice? We only get one go- around at this thing called life! Be sure to check the video closer in my previous post if you haven't yet. It's good. "What would someone in my circumstances do if they were completely confident that God was with them"...would anything change? It really was a stellar night with stellar teaching from Andy Stanley and stellar music from Josh Via and the band (Tasha Via on violin, Brett Banks on Bass, Logan Fincher on Electric, Andy Bradberry on Drums) Check out the closer...an original arrangement Josh did of a Barlow Girls song. Phenomenal close to an already great night! Don't miss the next service, March 16--6PM. This is time sensitive, 1990's actually. Sorry, if it brings up bad memories or even worse no-memories, due to age or...well...other stuff! 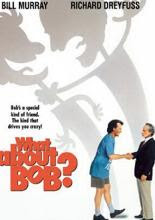 The movie "What about Bob" popularized the phrase "Baby Steps." "Bob Wiley, to put it simply, has problems. Anything from fear that his bladder is going to explode to fingernail sensitivity, he is one man who thinks he’s sick with everything. His schedule is just jam-packed with helpful cures, including weekly visits to the psychiatrist and outings with Gil, his goldfish. Meanwhile, Dr. Leo Marvin, a respected psychiatrist, has a best seller out -- Baby Steps, which is all about taking problems a little bit at a time." So Dr. Marvin tells Bob that in his life he needs to take baby steps. Feels like good advice. I've even given similar advice in many situations. But is anyone else out there like me? Does anyone else cringe at the thought of "baby steps" in your life, passion, job, career, business etc? Does anyone else long to take the foot off the brake peddle, and accelerate through the turns of life? Anyone else want a double shot of espresso? Anyone else want to really live life rather than simply "navigating it." Anyone else want to "go big or go home?" Sometimes, I don't know how to settle the vision in my heart or if I should even try. It's pretty driving and most days overwhelming. I know Scripture reveals a combination of both "steady plodding" and "risk taking." Both are biblical concepts. Deciding which one is required at which turn is the tricky part. So Ridge Church is living in that tension at least in one aspect. We are ready to pull the trigger on moving from our current Sunday evening meeting time to a Sunday morning meeting time. It is simply a more optimal time for most people to attend--and more optimal to invite others to attend. For months now it has been "steady plodding", but I believe the time is near, maybe upon us to take a risk! We tell our guests at Ridge every week that the tithe and offering time isn't really for them. We have had so many of you step up and give percentages of your income to this awesome vision. Some of you are giving sacrificially or for the first time. That is awesome! 22 Vision Partners--What about you? I would love to see 22 more families or individuals step up to the plate now at Ridge and become VISION PARTNERS. A vision partner is someone that has made the choice to: "Prioritize people's eternity above convenient lifestyles, by giving generously"
The coolest part about all o f our current vision partners is that none of them committed out of obligation or guilt. They gave because they love the vision of Ridge Church. Many of them and their friends and families have been influenced toward God at Ridge Church. Will you be one of the 22? Go here and take the first step. THANKS! "Do you u-n-d-e-r-s-t-a-n-d the words coming out of my mouth?" Parents, boss, spouse (sorry if those two are the same person for you:-) girlfriend or boyfriend, ever said something like that to you? Isn't it true that often times we don't really listen to people?---or maybe it's just me, huh? But, we (me and that one other person like me) sometimes just wait for our turn to talk. I mean we are looking at them, and we see their mouth moving, but we smile and all we hear is "Blah, blah, blah." Then we notice that their lips stop moving, and it's like a bell goes off "Ding" and it's our turn to talk. But again that's just me...none of you have ever experienced that I'm sure? But, your world and mine would be a very different place, and we would be very different people if we sought to understand more than we sought to be heard. The writer of Proverbs says "UNDERSTANDING" is so important that even if the personal cost is great we should, do whatever it takes to get there. You can be sure that seeking to understand will cost you. Maybe time, maybe effort, maybe your ego, maybe the restraint of not responding immediately, maybe the satisfaction of saying your piece, maybe your turn to speak? But I think we would all be amazed at the positive change in our relationships if we sought to "UNDERSTAND" before we opened our mouth. Honestly, choosing not to "understand" will ultimately cost us more. Do you listen or just wait for your turn to talk? Try to understand people. ...it got in your head too didn't it? Try it out for the next couple of days. Don't forget to check out" www.ifiknewgodwaswithme.com" Some really cool stories unfolding. Jump over there--read the entries and share your answer to this question: "What would someone in my circumstances do if they were completely confident that God was with them?" What would you do differently? "What would someone in my circumstances do if they were completely confident that God was with them?" Go here to catch up if you missed part one of this incredible teaching series by Andy Stanley. 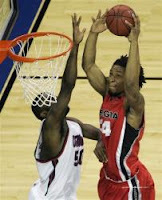 Then jump onto www.ifiknewgodwaswithme.com and share your insights (anonymously or by name). One principle that we see peppered throughout Scripture is that there is something powerful, even crystallizing at times about voicing or "going public" with issues related to our faith. Baptism is the most obvious illustration of this idea. New believers in the first century church (modeled by churches today) were quick to be baptized as a public confession that they had surrendered their lives to Jesus. This new website is one small and practical way--maybe a first step for each of us to "go publ ic" as we wrestle with issues of faith, and living life as though "God is with us." Please don't hold back. The thing you share will be good for you and possibly great for others! In the words of John Ortberg "Everyone's normal until you get to know them." Your life, your struggles, your fears, your insecurities, your challenges, your questions, will likely be much more normal than you think they will!